Notre Dame (#35) at NC State (#65). 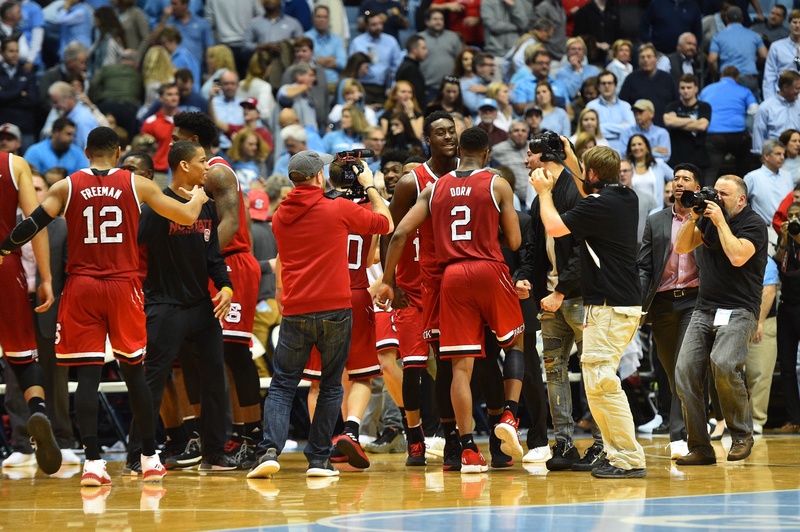 The Wolfpack are riding high (as our Matt Auerbach outlined this week) after their huge overtime win in Chapel Hill last weekend. If NC State hopes to snag an eventual NCAA Tournament bid, it still needs to pick things up on the defensive end. In nine ACC games, Kevin Keatts’ defense is allowing teams to shoot a healthy 49.2 percent from the field, the worst such mark in the conference. In fact, NC State does not have a single rotation player with a Defensive Rating below 108.0. It’s uncertain whether the Wolfpack will be able to fix this issue, especially given that the cause of it is also what has made them so effective offensively this year. First, the blossoming of Omer Yurtseven into an offensive star has resulted in more minutes, but he is hopeless when pulled away from the basket and forced to guard in space. Secondly, Keatts has been playing two of his three smaller guards (Braxton Beverly, Markell Johnson and Lavarr Batts, Jr.) on the floor together. This leads to defensive mismatches, specifically against the less-physical Beverly. It will be interesting to see how the Pack perform against a Notre Dame team that will be deliberate and wants to limit possessions without injured star Bonzie Colson. Miami (#32) at Virginia Tech (#39). The Hokies have won three straight games to surge back into the NCAA Tournament discussion. The key all season for Buzz Williams’ team has been making threes, and his guys have gotten their shooting stroke back lately. During this three-game winning streak, Virginia Tech is making 42.2 percent from long-range and nailing nearly 13 threes per game. In their eight prior games, the Hokies made just 30.4 percent from distance and correspondingly went 4-4. 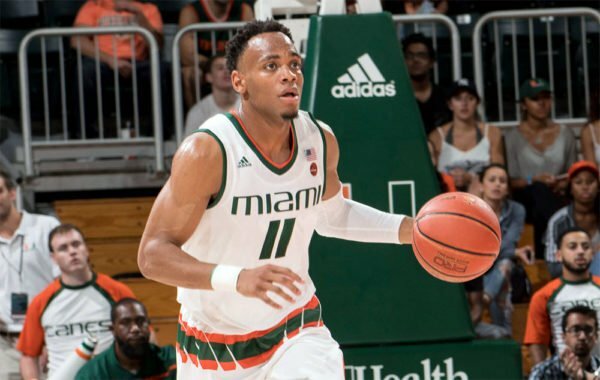 They’ll look to stay hot against Miami, who will be without star Bruce Brown for the foreseeable future. The match-up to look for in this game is down low — can Miami’s Dewan Huell (116.6 ORtg, 54.8% eFG) get the offensively-challenged Hurricanes some easy baskets against a Virginia Tech front line that only features Kerry Blackshear? #45 Syracuse at #31 Florida State. Don’t be fooled by Florida State’s 1-3 ACC record. The Seminoles received a brutal schedule to start conference play, dropping games at Duke and Miami followed by a home loss to Louisville. None of those three losses alone are reason for concern, but the Seminoles need to address their recent shooting woes. 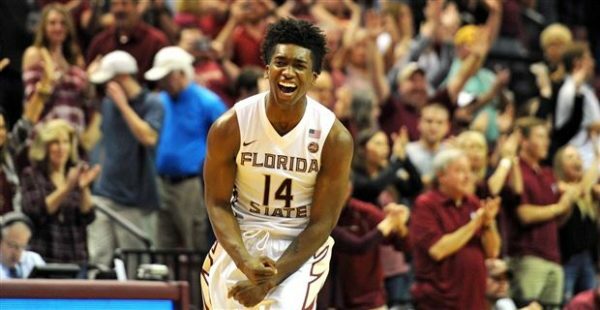 Florida State has made just 27 percent of their attempts from long-range in the last two games, and Phil Cofer (42.3% 3FG on the season), in particular, has really struggled (2-of-10 3FG). 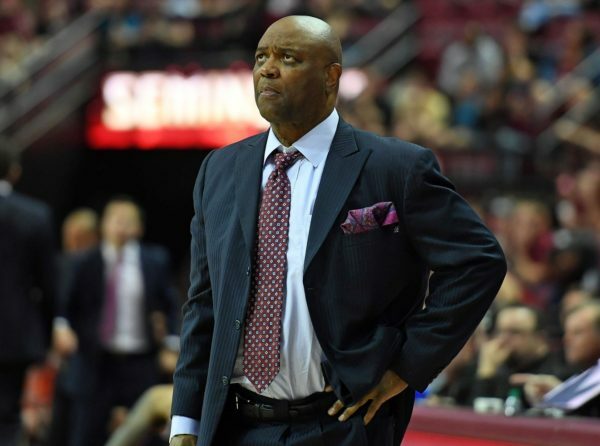 Against Syracuse’s long and athletic zone defense, Leonard Hamilton will need Cofer to regain his form as the designated zone-buster. 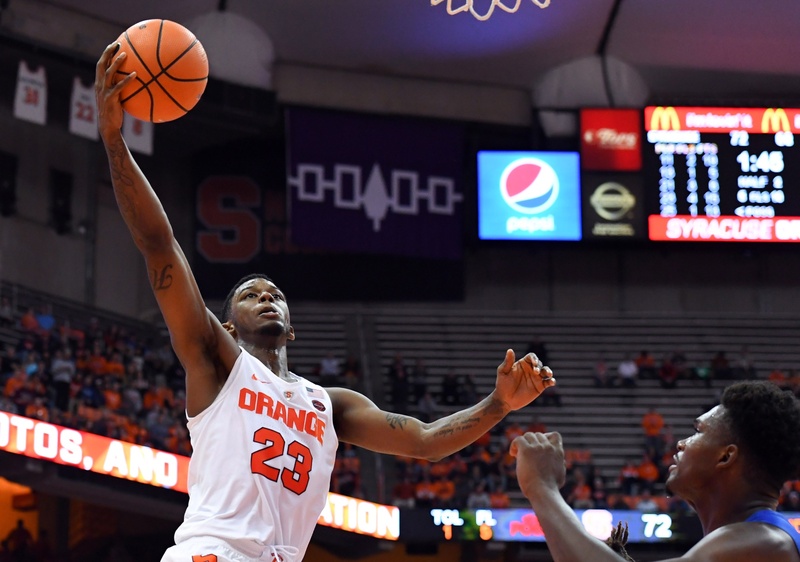 The Orange are likely to keep Florida State out of the paint, as Syracuse is allowing opponents to shoot just 42.0 percent from two-point range this season, the seventh best mark in college basketball. #29 Miami at #14 Clemson. Is Clemson a legitimate ACC title contender? We are about to find out. The Tigers are 3-1 after losing to NC State in Raleigh Thursday night, but their schedule gets much tougher very quickly, beginning with this weekend’s visit from the Hurricanes. A key for Brad Brownell’s club this year has been the development of junior big man Elijah Thomas. He is posting a 26.6 PER and 63.1 percent effective field goal rate on the offensive end, while also becoming a dominant rebounder (26.1% defensive rebounding rate) and shot-blocker (11.8% block rate.) It will be fun to watch Thomas take on Miami’s much-improved big man Dewan Huell, who is posting an 85.8 Defensive Rating and shoos 65.6 percent from the field. Huell was terrific in the Hurricanes’ recent win over Florida State, scoring 20 points on 8-of-12 shooting while grabbing eight rebounds. With the calendar now flipped to 2018 and conference play in full bore, three teams remain undefeated atop the ACC standings. Notable by its absence among that group is consensus preseason favorite Duke, which, after dropping Saturday’s tilt in Raleigh to NC State, is now two games behind the triumvirate of leaders (Clemson, Virginia and Notre Dame). A primary culprit for the Blue Devils’ struggles in league play thus far is the frigid shooting of senior guard Grayson Allen. Allen, a preseason all-ACC selection, is shooting just 33.3 percent from the field in conference play, including a 21.7 percent clip from beyond the arc. While it’s easy to hone in on Duke’s sieve-like defense when evaluating its losses, Duke also needs Allen to perform up to his All-America capabilities to become the team it expects. Remember, with Marvin Bagley III relegated to the bench in the second half of Duke’s victory over Michigan State in November, it was Allen’s elite shot-making that made the difference. Much like the 2015 National Championship team, these Blue Devils are heavily relying on their young stars to take them home. 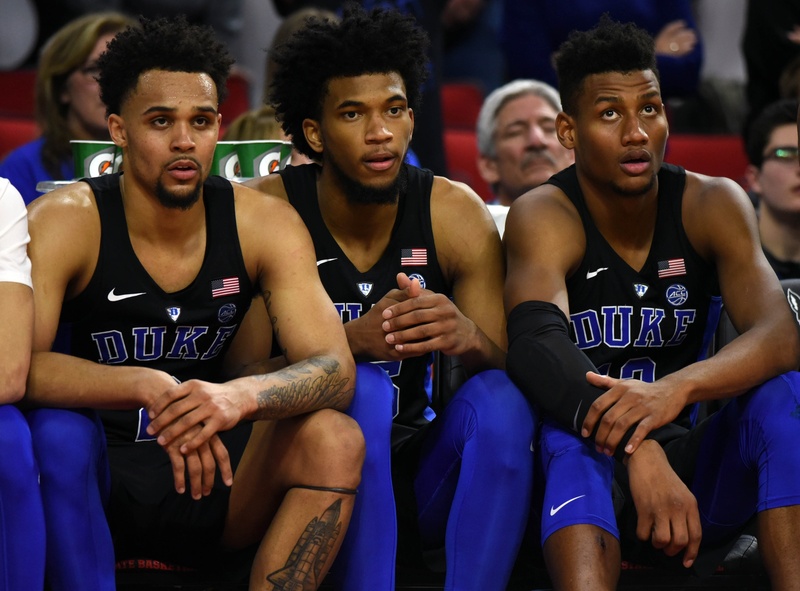 But, for all the heroics of Jahlil Okafor, Justise Winslow, Tyus Jones and Allen himself three seasons ago, there would have been no fifth banner in Durham without the quiet and steady leadership of senior Quinn Cook. For Mike Krzyzewski to earn his sixth title, Allen needs to snap out of his recent funk. St. Bonaventure (#60) at Syracuse (#52). This is an important game as Syracuse works to put together its NCAA Tournament resume. Normally non-conference wins over former rivals Georgetown and Connecticut would sparkle, but the Hoyas and Huskies are both down this year. Currently all Syracuse has to its credit is a win over Maryland. The Bonnies feature a wonderful backcourt of Jaylen Adams and Matt Mobley, but, as usual, Syracuse should have a significant advantage up front. Freshman power forward Oshae Brissett has put together a three-game stretch where he has averaged 23.3 points and 9.0 rebounds per game. Miami (#14) at Hawaii (#211). The Hurricanes are off to the Diamond Head Classic in Hawaii this weekend, where they’ll play three games on a Friday/Saturday/Monday schedule. The original hope with this trip five time zones away was to gain a few more chances at quality wins to counterbalance a light non-conference schedule. Instead, Miami will get a true road game against a sub-200 team (Hawaii), followed by a match-up with either Davidson (#83) or New Mexico State (#92). A potential match-up with USC in Christmas Day’s title game has also lost its luster given the Trojans’ recent struggles. Scheduling woes aside, we continue to be impressed by the play of Hurricanes’ sophomore center Dewan Huell. The big man has started to figure it out, putting up a 123.3 Offensive Rating and 28.5 PER to this point in the season. His game is by no means a finished product (an 11.3% defensive rebounding rate and a 15.1% turnover rate are issues), but he has at least become the big man that Jim Larranaga desperately needed coming into this season. Every preseason we take a hard look at the rosters around the ACC and wonder which returning players will make the leap from role player to key contributor. Lately we have watched many of those returnees come from relative obscurity to full stardom in just one season: players like Jaron Blossomgame (Clemson, 2015-16), Matt Farrell (Notre Dame, 2016-17), and John Collins (Wake Forest 2016-17). In most instances, few outside of the specific program expected such a drastic improvement. For example, raise your hand if you had Collins pegged as one of the ACC’s top three players last October. Thought so. Still, sometimes we can project significant leaps in production by looking at advanced statistics for players who are poised to see an increase in minutes and/or usage this season. For instance, Notre Dame’s Bonzie Colson surprised many observers by becoming a First Team All-ACC member as a junior. But if you closely examine his sophomore campaign statistics — 122.0 Offensive Rating, 58.7 percent true shooting percentage — it’s easy to see why his contributions shot up with a corresponding increase in playing time. In the second of this two-part series, here’s our list of potential breakout sophomores in the ACC this season. 1) V.J. 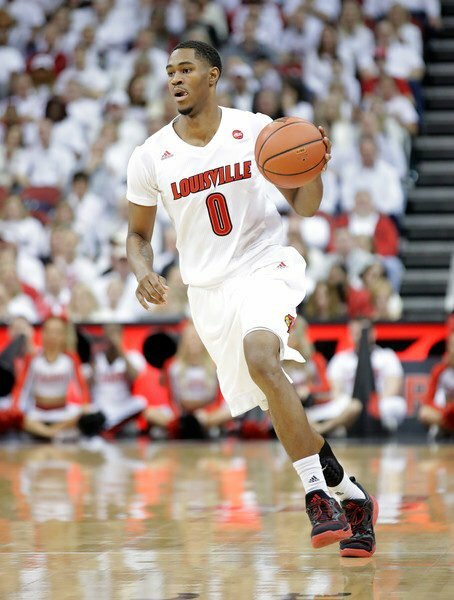 King – Louisville: 13.5 MPG, 5.5 PPG, 111.3 ORtg, 55.0% true shooting. One of many Cardinals with professional-level potential, King posted promising shooting numbers last season from three-point range (42.1%) and at the charity stripe (82.1%). His minutes should double this year and his usage rate (19.6%) figures to increase as well — all meaning that we may be looking at a 14-plus point per game scorer this season in Louisville. 2) Kyle Guy – Virginia: 18.6 MPG, 7.5 PPG, 114.8 ORtg, 49.5% 3FG. The word is that Guy will perform without his signature man-bun this season, but don’t expect him to slow down without it. Given multiple losses from the Cavaliers’ perimeter attack, Guy should be head coach Tony Bennett’s top guard this year. Guy posted two extremely impressive statistics for a freshman guard — 49.5 percent three-point shooting, and a turnover rate of only 10.6 percent. We are continuing our ACC Must-Follow List for the year with Georgia Tech, Louisville, Miami, and North Carolina in this post. If there are any other Twitter accounts that you think should be included, send us a tweet @rtcACC or leave a message in the comments section below. For the rest of our ACC Must-Follow List, check out the rest of our posts for this year. Note that these will release throughout the day on Thursday. The NCAA gets a lot of criticism for a lot of things (often warranted), but their decision to pull seven championship events out of North Carolina during the 2016-17 championship season in response to the HB2 law seems to be widely applauded in the mainstream media. While some have been critical of the NCAA for making this decision against the state of North Carolina, the NCAA did come out with a clear list of reasons for their decision. It is also worth nothing that North Carolina is not the only state to have faced a ban by the NCAA for non-NCAA-related issues (the state of South Carolina was briefly banned from hosting championship events because of its use of the Confederate flag). For their part, coaches and administrators from several schools in the state including Duke and North Carolina have come out in support of the NCAA’s decision. With the NCAA joining the NBA, which decided to move the 2017 All-Star Game in response on to HB2, the ACC also decided to move its neutral-site championship events from North Carolina for the 2016-17 season as well. Although it would be easy to take a shot at the ACC for making a move only after the NBA and NCAA did it is worth noting how significant the move is since the ACC is headquartered and was founded in North Carolina. The move isn’t that significant for basketball this year as the ACC Tournament is going to be held in Brooklyn, but among other things it does force the ACC to move its football title game (scheduled for the first weekend in December) out of Charlotte to a site that has not been announced yet. 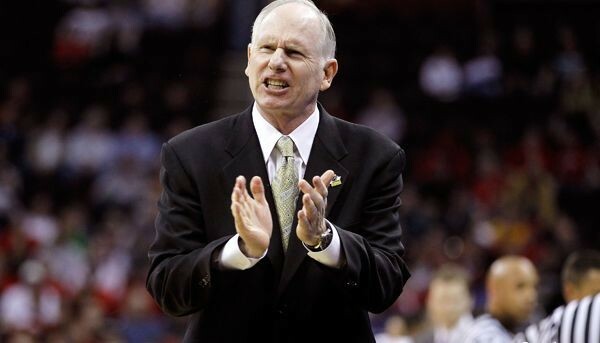 We figured that after George Washington did not do anything in July following allegations of verbal abuse against Mike Lonergan by some of his former players (refuted by other former players) we had heard the end of that issue for the foreseeable future. It turns out we were wrong as reports surfaced on Friday night that Lonergan had been fired by the school. 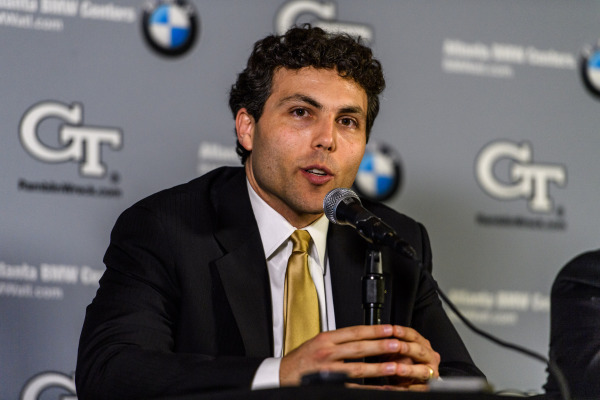 Given the details surrounding Lonergan’s reported abuse and his disdain for athletic director Patrick Nero it should be no surprise that Lonergan will be challenging his dismissal. We still are not sure what led the school to dismiss Lonergan on a Friday night in September, but it certain puts the as yet unnamed interim coach in a very difficult spot. Although Miami lost quite a few players to graduation this past season, we expected Miami to have a solid team this season thanks to what might be the best recruiting class the program has ever had. Unfortunately for the Hurricanes, Dewan Huell, one of the most prominent pieces in that class, was arrested on misdemeanor battery charges last week. According to police reports, Huell, a 6’11” McDonald’s All-American, attacked a man who he found in a closet with his ex-girlfriend after Huell went to her apartment uninvited. Assuming this is Huell’s first such incident we doubt that he will get more than a slap on the wrist with what has been released. Davidson is best known for Steph Curry playing college basketball there (and that is unlikely to change any time soon), but it has also become a well-known program internationally thanks to Bob McKillop and his recruitment of foreign players. As Seth Davis point out, the fact that Davidson will have players from seven different countries on its roster this season is the result of years of dedication by McKillop. It is a rather interesting strategy and one that is more likely to pay dividends for McKillop than if he were to hope to have the next Curry fall into his lap.